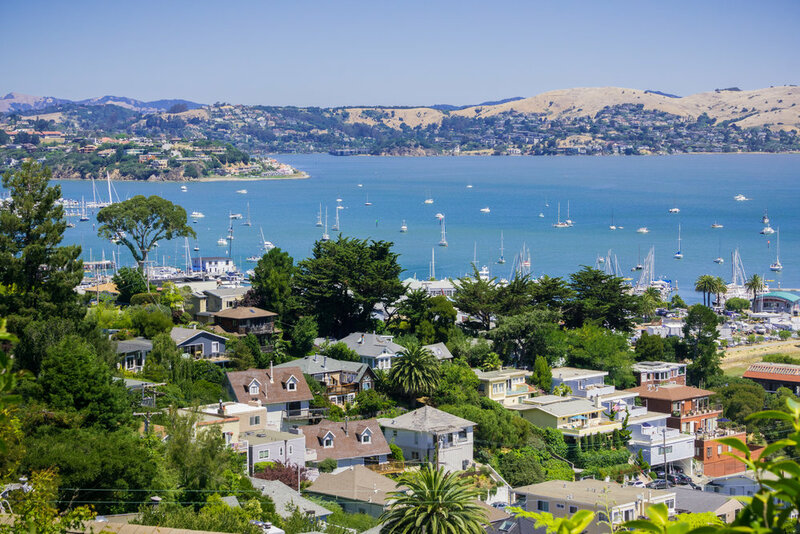 The charming bayside town of Sausalito is a popular side destination for visitors to San Francisco. Most people spend an hour or two walking around the shops and having a bite to eat, and feel like they’ve done Sausalito. But you know how we feel about just scratching the surface in Marin County, right? 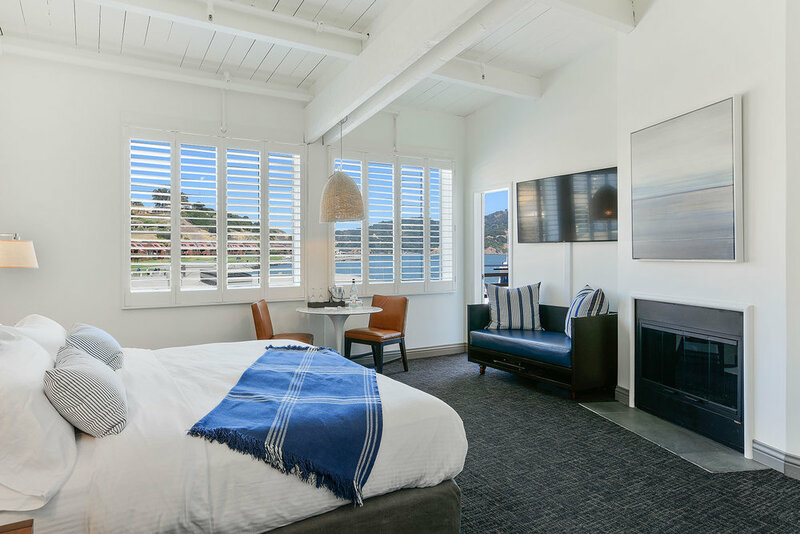 That’s why we’ve pulled together our favorite ideas for things to do in Sausalito, The Immersive Traveler Edit. We’ve created an itinerary for you but also feel free to mix and match to create one extremely packed day — or spread it out over a few days for a full immersion into this truly special bayside destination. Start your day with the locals at either Cibo or Taste of Rome. Located about a block from each other on bustling corners of Bridgeway (the main street in Sausalito), both offer the cafe essentials: excellent coffee, good people watching, and local crowds. Cibo is housed in an industrial-modern space, and they serve excellent fresh house-made pastries, avocado toast, and vegetable hash. Taste of Rome feels like a cafe from San Francisco in the 70’s with robust coffee and full breakfast. Both are a good launching pad for your next activity…. After breakfast, we suggest walking along the waterfront from the Pelican Yacht Harbor — located directly behind Taste of Rome — to the end of Bridgeway. At about a mile, it’s a flat walk with really incredible views of the San Francisco Bay, Angel Island, and San Francisco. Next head up into the hills! There are some pretty fantastic homes in the hills of Sausalito, and views galore. Trust, seeing this part of Sausalito is a must-do. The best way up? The stairways of Sausalito. Here’s a link to part one of a detailed 3-part article about the stairways - directions, history, homes of note. Click through to all three parts for the full rundown. Please note, you may get “lost” up there. We do, every single time. No biggie, just take roads, paths, and stairways in the down direction until you arrive back on flat land. Bayside Joinery in Sausalito is a stellar spot. Ready for lunch? Let’s head to a spot by the water. Our favorite bayside restos are Joinery (hello roast chicken! ), Le Garage (hello french bistro vibe! ), and Fish (hello any fresh daily special!). All are casual and fun with excellent food and only-in-Sausalito bayside seating. You can walk to any of these spots once you’ve completed your stairway walk; the Joinery is easily found just off Bridgeway a few blocks from Cibo/Taste of Rome. Le Garage is located about half a mile from Joinery, and Fish about a mile. Both are a little tricky to find since they’re hidden amongst industrial type buildings, but you know you’re headed towards the water and the hunt is worth it in both cases. Float your boat at one or all of the houseboat docks in Sausalito. Afternoon activities, take your pick: shopping, kayaking, a stroll around a houseboat community, a sail on the bay? Are you thinking this might take two days?! If you choose shopping, our off-the-beaten-path favorite shops: Baba Yaga, and Sausalito Stationery on Caledonia Street. Heath Ceramics, easy to visit after lunch at Fish. For the design lover, book a tour of the factory. Book Passage, a classic NorCal bookstore. Also have a look at their events calendar for the Sausalito location. Want to get creative? Consider an art workshop at Studio 333. Here’s a round-up of Sausalito kayaking resources. And here’s one with information for visiting the Sausalito Houseboat Neighborhoods. And finally, a Sausalito sailing adventure aboard the Freda B Schooner. Their afternoon Sunset sails and Full Moon sails are stand-out Sausalito experiences. Dinner at Sushi Ran is a world-class experience. Is it time for dinner already? Seriously seriously seriously top notch cuisine is served Sausalito-style in casual, laid back, lively environments at our top three recommendations. Sushi Ran is considered the best Japanese restaurant in the Bay Area, and maybe even all of the U.S. Please get the shrimp and scallop dumplings and the miso glazed black cod. Oh and the sushi! People travel from all over for the Sushi alone. Go to Poggio for the Italian trattoria experience and food. We are all about their pastas and risotto. The vegetables are pulled from a garden located a few blocks up the hill from the restaurant…maybe you saw that on your walkabout through the neighborhood? We are really not making this easy on you, because Copita is equally good. We always order the chicken mole enchiladas but ya know what? Everything is good because it’s all made from scratch with fresh, seasonal, California ingredients. N.B. if you’re on a gluten-free diet, this is the place for you, since lunch and dinner menus are 100% gluten-free. Barrel House Tavern in Sausalito, a perfect end to the perfect day. What a day, let’s have a nightcap! We love Barrel House Tavern — a short walk from Copita and Poggio and a bit longer from Sushi Ran — for an after dinner drink in the chic bar area with a fireplace and cozy seating. Their cocktail program is stellar; worthy of the “Cocktail Program” designation. We suggest The Smoked Cherry to close out your day, but any selection from their well-edited menu of House Cocktails will be created with care by the excellent mixologists on staff. Now, go to bed! A note to guests of our Acqua Hotel, you’ll be sliding into your bed in under 10 minutes, since the hotel is a short 3.5 mile distance.